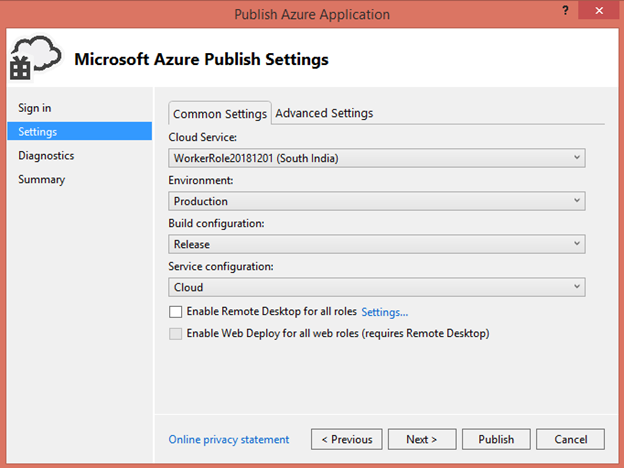 Deploy Worker Role – Microsoft Azure Articles.. In this article we can explore Deploying a Worker Role to Azure. Let us start with Visual Studio deployment. 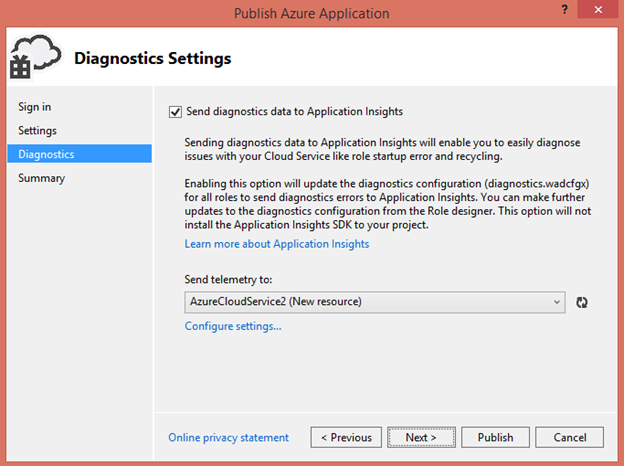 Open the project in Visual Studio & Choose the Cloud Service > Publish option. 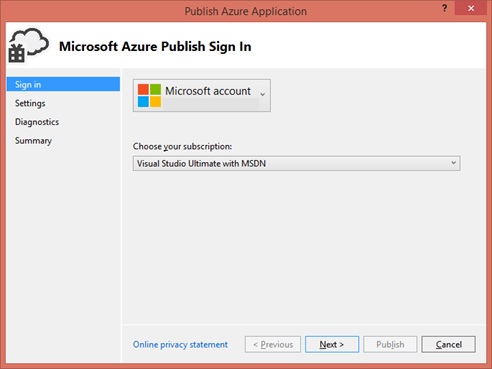 You will get the prompt to choose the Azure Subscription. Continue the wizard & choose a unique Name. Click the Publish button in the final page of the wizard. Wait for few minutes for the Deployment to be completed. Once the deployment is over, you can click on the Web app URL from the Deployment window. 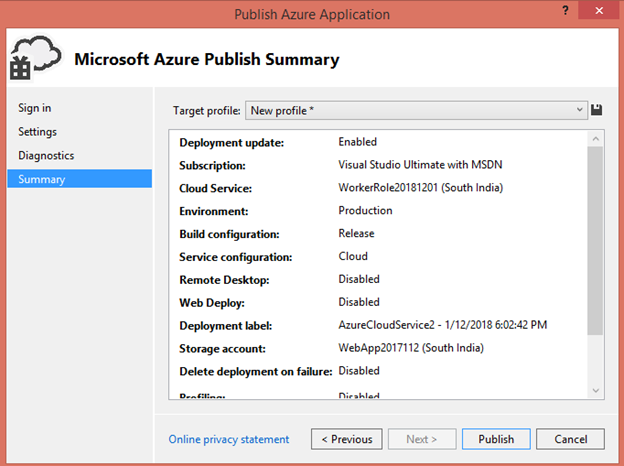 You can also use Azure Portal to upload Deployment Package. In this article we have explored Deploying a Worker Role to Azure.